Calgary is a city that doesn’t get the recognition it deserves. It doesn’t see nearly the visitor numbers of Vancouver, Toronto, or Montreal, and despite being the largest city in Alberta it’s actually not even the provincial capital. The jumping off point for many of the four million annual visitors to Banff National Park, this city of 1.2 million is a cowtown that’s grown up and found its footing among the country’s modern skylines. It’s one that hasn’t forgotten the roots that make it unique in the first place. In that sense, Calgary is the Denver of Canada: a growing urban hub that’s worth much more than a quick drive through to get to the mountains. If you’re heading to Banff, here’s why you should spend a night in Calgary en route there or back. It’s a good place to unwind and catch up. Stay downtown or in the Inglewood neighborhood, where you’ll find Calgary’s take on urban hipness. If you need to sit over the laptop for a few hours and catch up on emails, park yourself at Rosso Coffee Roasters and order a cup of Tipping Point. Here, among the quirky cafes and shops, is enough craft beer to sink even a discerning connoisseur under the table. Start at High Line Brewing and then move over to Revival Brewcade to test your Pac-Man skills once you’ve loosened up a bit. When hunger kicks in, you’ll find armies of expat chefs slinging fusion menus that bridge Canadian classics with the international flavors spilling over from Vancouver — which means there’s a strong chance you can satisfy your craving for poutine and banh mi in the same sitting. Banh pou, perhaps? 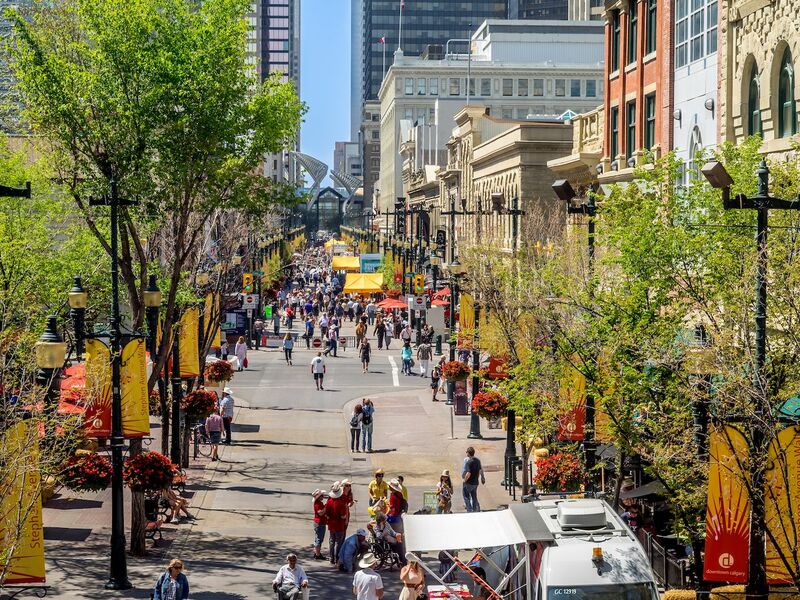 Calgary has been one of Canada’s fastest-growing metro areas in the past decade, adding nearly 400,000 residents since 2000 and experiencing modern makeovers in many of its old neighborhoods. It hasn’t completely lost its “Old West” charm, however. Ranching and the oil and gas industry built the city into the energy hub that it is, and you can find a good Alberta steak at restaurants across town. The energy industry remains a major source of employment for Calgarians. Alberta is the heart of Canada’s energy industry, producing up to 75 percent of the country’s crude oil and natural gas, though downturns in the industry in recent years have left an economic mark on the city. It’s among the most bikeable cities in Canada during summer. Moving about Calgary in an Uber is quick and cheap, so if you take a shuttle up to Banff there’s no need to rent a car for your bookend in the city. If the weather’s nice, ditch the Uber and grab a bike. The path along the Bow River, which flows right through the heart of town, essentially serves as the artery for pedal-powered transit in Calgary. Not only does this pathway lead you through some of the city’s most beautiful parks, including Edworthy Park and Bowmont Park, but it also connects with other bike paths and streets that can get you just about anywhere you need to go. 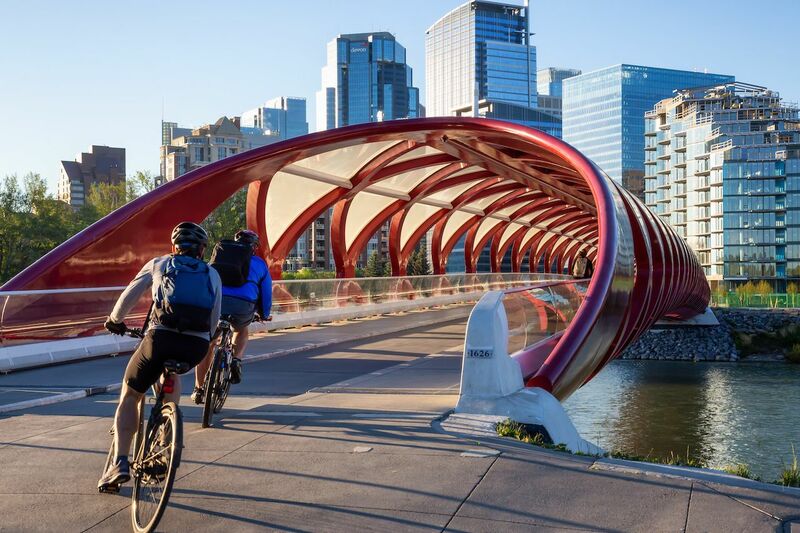 While suburban sprawl has stretched the boundaries of the metro area, central Calgary remains quite commutable by bike, enough so that it received recognition from Copenhagenize, a blog that ranks and reviews bike-friendly cities around the world. As a visitor, you can take advantage of this by staying in one of the many hotels around town that lend bikes to their customers, including cruisers from the two locations of the Hotel Arts. The Calgary Central Library is in itself worth a visit to the city. Calgary’s Central Library makes its case as the city’s most beautiful building. 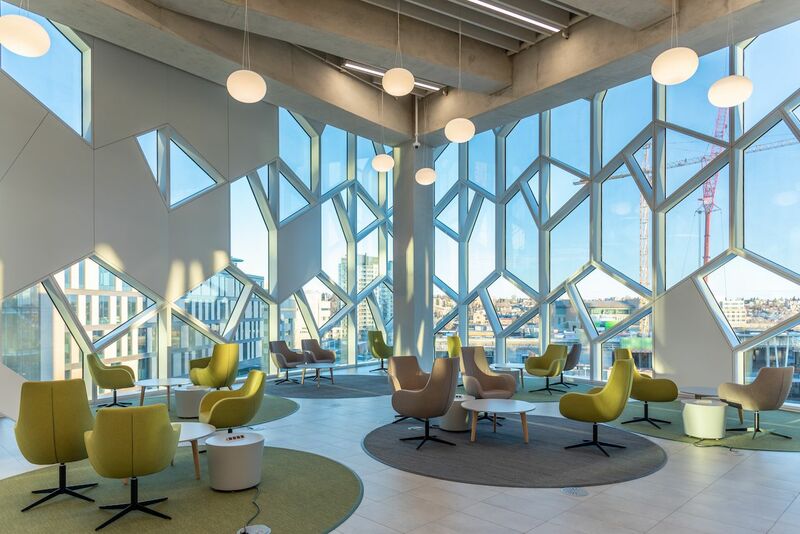 On the edge of the East Village, an old part of town that is evolving and growing right along with the city as a whole, the newly opened library is a towering structure that sort of resembles a ship pulling into harbor, albeit one loaded with books and knowledge instead of sailors and rum. Even if you don’t have time to check out a book and finish it before you leave town, at least walk through the place and snap a few photos. It’s become a social hub for the city, with plenty of space to just chill and catch up after a trip to the high country. You can still visit where much of the 1988 Olympics took place. You know you’ve always wanted try the bobsled ever since Cool Runnings hit theatres in 1993, and a day in Calgary might be your best chance to at least see one in action. 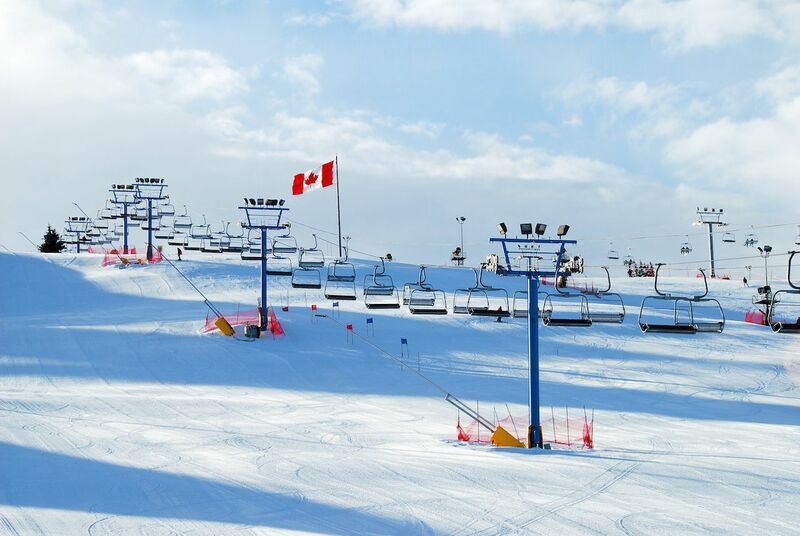 Calgary hosted the 1988 Winter Olympics, and you’ll pass by the Canada Olympic Park just off the highway on your way west to Banff. On your way back to town, stop by the site and visit the Winter Sports Institute, where you can make this dream a reality. And, if you didn’t get enough turns in up in the high country, the park still operates as a functioning ski hill with six lifts. The site saw Olympic ski jumping, bobsledding, and luge competition during the games, and though mountain bikers take over the hill in summer, its ski jumping and other training facilities are utilized year-round by the badasses who do those sorts of things. The city actually goes off at night. Let’s face it. As beautiful as the mountains are, Banff National Park doesn’t have much of a party scene. A night in Calgary provides a chance to let loose a bit. If luck is on your side the Calgary Flames will be in town, and if that’s the case you should go because there’s nothing quite like drinking beer and watching hockey in Canada. 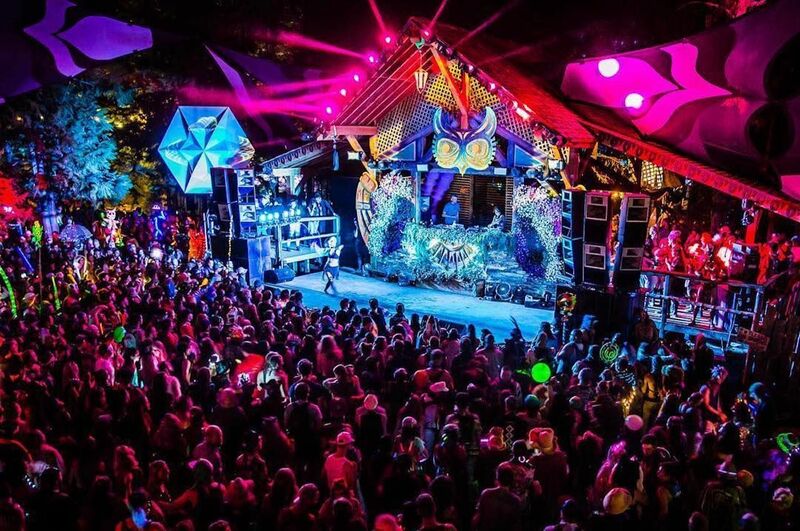 Calgary also has a booming music scene, which over the years has cranked out a succession of globally known artists including Tegan and Sara and country star Paul Brandt. Broken City hosts live music most nights of the week, and the HiFi Club downtown is the place to head late at night to get your dance on. Despite being at a much lower elevation than Banff, around 3,400 feet, Calgary gets chilly in the evenings year-round so don’t pack up that parka just yet. In winter, daytime highs often hover around freezing and even in summer the temperature dips into the 40s at night.